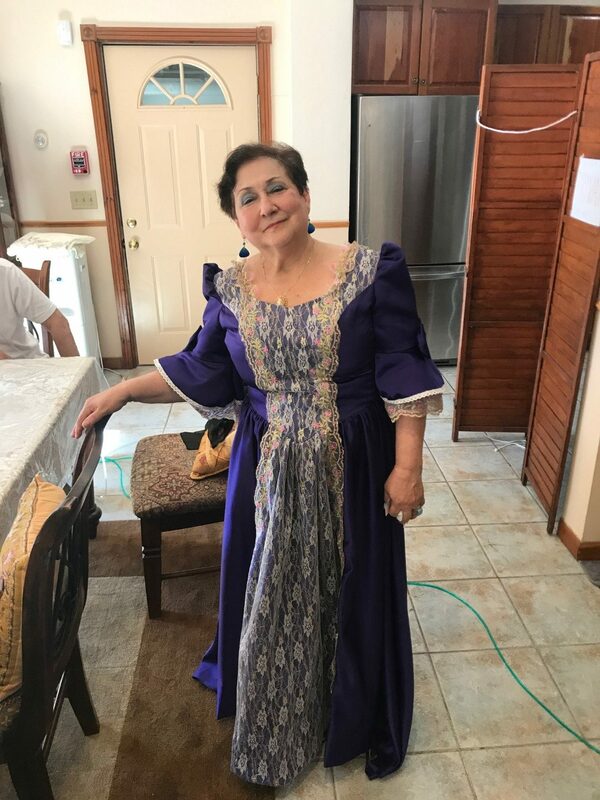 In 2019, Carmela Altamura, operatic soprano and visionary founder of multiple arts organizations, celebrates 50 years of service to the arts and the 16th edition of her signature bi-annual program, the Altamura/Caruso International Voice Competition. Altamura also celebrates her 80th birthday, providing a perfect occasion to highlight a golden anniversary year of service to the international arts community. The celebration kicks off on May 1 with a concert and reception honoring Altamura, hosted at the Rockleigh Country Club in New Jersey, with entry tickets benefiting the Altamura/Caruso International Voice Competition. The celebration year closes with the finals of 16th edition of the Altamura/Caruso Competition, October 25 and 26, in New York City at St. John’s in the Village Episcopal Church. Her creation and leadership of the Altamura/Caruso International Voice Competition, which has provided a range of singers with performance opportunities, scholarships, coaching, and nuanced career support and counseling since the mid 1980’s. In 1986, together with her husband, Leonard Altamura, she founded Inter-Cities Performing Arts, Inc., a New York/New Jersey-based non-profit organization, for the purpose of furthering ethnic, social, professional, and cultural relations through the arts. The Academy of Fine Arts Music and Dance (later called the Altamura School for the Performing Arts) that, for 14 years, served as a magnet attracting talents from the largely Cuban and Italian immigrant youth in her community of Union City, NJ. The Academy offered high level training in music, dance and the fine arts while also providing faculty positions for a slew of newly arrived Moscow Conservatory-trained Russian immigrants, as well as superb dancers who had defected from the Cuban National Ballet. 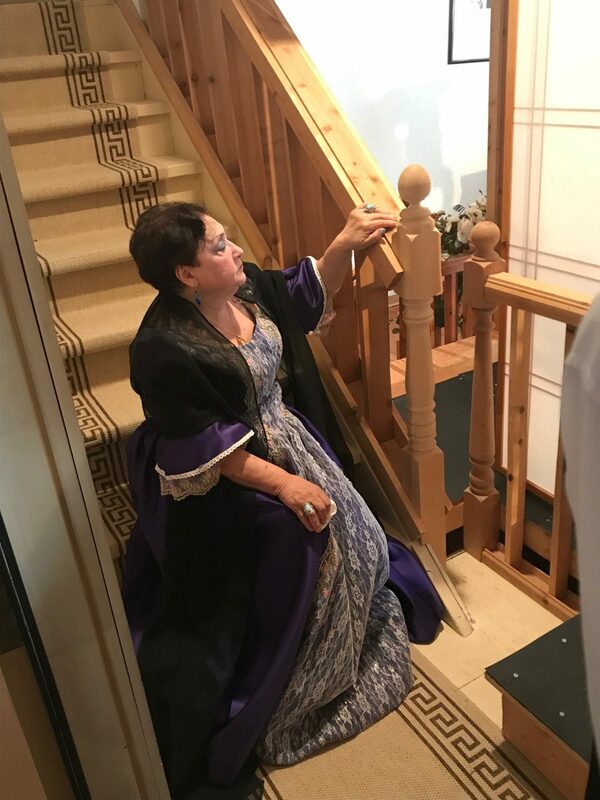 Years of work as a dedicated cultural ambassador for the Italian-American community, including performances for consulates, civic, and arts organizations, plus singing at galas and benefits honoring government dignitaries. In the mid 1980’s voice competitions still inherently favored young singers and did not offer support to voices which need physical maturity in order to fully bloom. 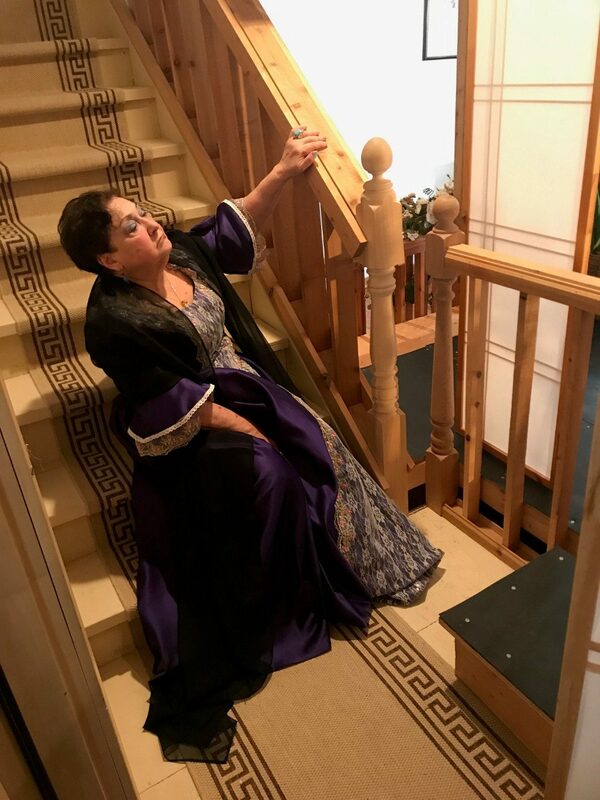 Soprano Carmela Altamura, who had studied at Milan’s Verdi Conservatory in the 1950s and 60s, noticed these issues and created the Altamura/Caruso International Voice Competition to challenge the status quo. With this competition, Altamura instituted three specific innovations: 1) the elimination of an age limit, enabling the competition to discover mature “Verdian” voices that wouldn’t have qualified for other competitions; 2) auditions held behind a screen to avoid bias; and 3) the creation of an Audience Award. Known for being an inexhaustible mentor, Altamura extended her guidance beyond the competition to both prize-winners and runners up. In this way, she is unusual among today’s competition directors in extending the benefits of her experience beyond the finals of the competition. For Altamura, this is a life-long mission. But at 80, she continues to work tirelessly for the ideals she believes in. For the 2019 edition, singers will be encouraged to consult with stage directors so they have a deeper understanding of what they are singing. The distinguished panel of judges are: President of the Jury, Roger Malouf (Metropolitan Opera); Carmela Altamura (Founder), Lewis Ehlers (Lombardo Management Associates); Domenico Boyagian (Cleveland Opera Theatre); Fr. Graeme Napier; and Dr. Krzysztof Biernacki (Professor of voice at University of North Florida). The Benefit Reception and Gala Concert will take place on May 1, 2019 starting at 6:30pm, at the Rockleigh Country Club in New Jersey, located at 26 Paris Avenue in Rockleigh, NJ. Ticket/Donation $150 per person. Proceeds will go towards funding the 2019 Altamura/Caruso International Competition. For reservations please call (201) 866-6467. The Finals of the 16th edition of the Altamura/ Caruso International Voice Competition will be held at St. John’s in the Village Episcopal Church in lower Manhattan located at 218 W 11th St, New York, NY 10014. In 1988, Carmela Altamura received the prestigious Caldwell College (New Jersey) Veritas Award for her service to and leadership in the arts. The award honors those who “give of self to society, develop wisdom and knowledge, embody integrity, and seek truth.” In 1991, a congressional citation was presented by Congressman, Frank Guarini to Ms. Altamura on the occasion of Inter-Cities’ gala celebration, A Salute to Italy and the Americas, at Carnegie Hall. Italian-American organizations have warmly recognized Ms. Altamura’s contributions to their community. She received the Better World Builder Award from the Italian American Historical Society and Woman of the Year Award from the Italian Cultural Institute in New York City. In 1991, she accepted a Who’s Who Award from the National Italian American Foundation in Washington, D.C. Many civic awards, including the Jersey Journal Woman of Achievement, presented to Ms. Altamura for her educational contributions to the underprivileged, attest to the significant time, effort, and energy she has given to both her immediate community and to young artists throughout the world. She appears in the Who’s Who in the World publications. She has served as a voice and language coach for Opera Music Theater International, founded by Jerome Hines, in Newark, New Jersey, and a style, language and voice consultant — in collaboration with legendary La Scala mezzo-soprano, Giulietta Simionato — for master classes at the Accademia Pianistica in Imola, Italy. She served the same role for master classes, sponsored by the late Metropolitan Opera star, soprano, Licia Albanese, at Marymount College and Wagner College in New York. From 2013 – 2017, Altamura was awarded a grant by the “Agnes Varis Grant Program for Women.” It allowed her to select emerging women artists for the grants as well as to assist in underwriting programs and concerts for what was the final summer season of the Altamura Center for Arts and Cultures in Round Top, NY. As a little girl of eight, Carmela Bucceri Altamura left Sicily without her parents, on an ocean liner, the Sobieski, to join family already waiting in America. After settling in the United States and winning many scholarships from elementary school through college, including fellowships from Casa Italiana at Seton Hall University and the Metropolitan Opera Guild. Upon graduating from Caldwell University, the young soprano left to study at the Giuseppe Verdi Conservatory in Milan, from which she graduated. While in Italy, Altamura studied with opera’s golden era greats such Elvira de Hidalgo (teacher of Maria Callas), Maestro Campogagliani (teacher of Pavarotti and Freni), Clotilde Ronchi (teacher of Boyajian) and Madame Mercedes Llopart (teacher of Alfredo Kraus, Alva and Scotto). Back in New in NY she sang for Maria Callas at her master classes at Juilliard and Carolina Segrera and Licia Albanese among others. She began her career in Milan’s Teatro dei Filodrammatici and continued to perform in the world’s major concert halls including Alice Tully Hall and Carnegie Hall. In 1970, at 31 years of age, she made her debut at Alice Tully Hall with the Metropolitan Opera Orchestra conducted by Umberto Vedovelli. From the outset of her career, Altamura, considered a cultural ambassador for the Italian-American community, was regularly called upon by consulates, civic and arts organizations to sing for numerous galas and benefits honoring political and government and dignitaries. 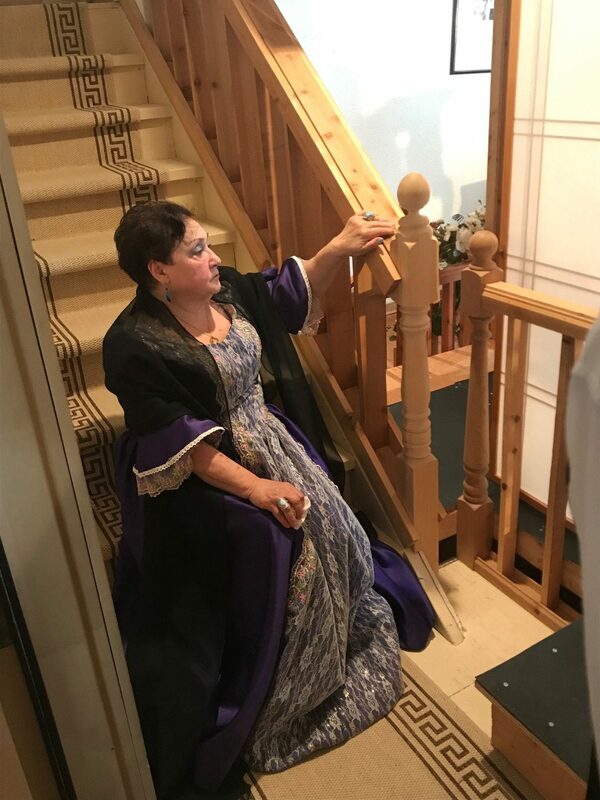 Although Mrs. Altamura has performed in the world’s greatest concert halls and garnered many prestigious awards, she ultimately chose a different path to concentrate her energies. Traversing the path less chosen has brought rich personal reward, as it is her belief that through helping others, one attains a true purpose in life. In 1986, Carmela Altamura, together with her husband, Leonard, founded Inter-Cities Performing Arts, Inc., a New York/New Jersey-based non-profit organization, for the purpose of furthering ethnic, social, professional, and cultural relations. It’s signature program, the Altamura/Enrico Caruso International Voice Competition, USA, identifies and supports singers on the threshold of their careers. It is held every two years in important theatres in New York. However, several editions of the competition finals have been hosted in European venues such as the stunning St. Michael’s Cave in the British Territory of Gibraltar, and in Italy at the Beniamino Gigli Conservatory (Recanati) and Teatro Ebbe Stignani (Imola). Under the umbrella of ICPA, she directed her innovative summer intensive program “Encounter with the Masters” which gave opportunities to numerous young singers from all over the world to work closely with a distinguished list of teachers that included Licia Albanese (Metropolitan opera), Mario Bertolino, Giovanna Canetti (La Scala), Jerome Hines (Metropolitan Opera), Virginia Zeani, as well as with conductors Karel Chichon, Anton Coppola, Ovidiu Balan and Roger Malouf to mention a few. Other important highlights of Altamura’s career include, a world tour in 1978 that started at the historic Teatro dei Filodrammatici in Milan and culminated in Jerusalem. The United Nations and the Vatican invited Altamura to sing a benefit for the orphaned children of the Israeli War of ‘67 held at the American YMCA in Jerusalem which was repurposed by the Italian and American Consulates for the concert. On the heels of that tour, Altamura demonstrated her breadth of knowledge of the art song by designing a series of 5 concerts called the Joy of Music in which she that programmed unknown vocal gems from the 13th century up to contemporary composers presented at Weill Hall, Carnegie Hall. A dedicated arts leader to her local community, in 1972, she founded the The Academy of Fine Arts Music and Dance (later called the Altamura School for the Performing Arts) that, for 14 years, served as a magnet attracting talents from the largely Cuban and Italian immigrant youth in her community in Union City, NJ. It offered a high-level training in music, dance and the fine arts while also provided faculty positions for a slew of newly arrived, Moscow Conservatory-trained Russian immigrants as well as superb dancers who had defected from the Cuban National Ballet. This allowed it to offer an unparalleled level of instruction unavailable to the immigrant community at the time. Altamura produced yearly multi-disciplinary gala performances at the historic Park Theatre in Union City that presented the students in full ballet productions, solo instrumental and vocal performances, all in one evening. The success of this academy served as a model for today’s inner-city grant-driven arts institutions. Ms. Altamura also helped to refurbish and publicize the cultural Cuban hub, the Hijos Y Amigos de Fomento Cultural Center in Union City, NJ for the purpose of celebrating Latin American arts. Union City, October 8, 2017…………. Winners of the 15th edition of the world renowned Altamura/Caruso International Voice Competition, will sing for Poland’s 150th Anniversary. This year, according to tradition, the Altamura/Caruso International Voice Competition, 2017 is under the auspices of the Consul General of Italy in New York, Minister Francesco Genuardi. The competition auditions and Finals’ Concert And Awards will take place in New York City, at the Good Shepherd Presbyterian Church Concert Hall, on October 28, at 4 pm. The audience will have a chance to vote for their favorite artist. The young artists will compete for $30,000.00 Sponsors include, The Agnes Varis Trust and the Altamura & Crossin Law Offices. Many competition candidates are arriving from as far as China, Africa, South America and Russia, Finland, Finland and Italy. Past winners have performed in major opera houses such as the Metropolitan Opera, La Scala, Chicago Lyric, and the Bolshoi, to mention a few. This year’s prestigious jury includes, Roger Malouf from the Metropolitan Opera, Opera agents, Luis Ehlers from Lombardo Associates, Mathew Laifer, Lukas Goik, Director of Poland’s Opera Slaska Bytem, Poland. The Company founders, Leonard and Carmela Altamura, say in grateful terms, that our winners have been invited for the third time by the magnanimous cultural ambassador, Alex Fiszer of the MARCHOLT civic and Polish cultural organization. In addition to the cash grants, the winners receive, the honorary title and mandate as Ambassadors of Peace. This year’s winners, in fact will perform as such, in Poland’s major cities, including the artistic site, Jewish Temple in Krakow, which was defamed by the Nazis during World War II. Admission to the Finals $35. Students and Seniors with I.D. $25 For reservations, you may call, ANGELICA, at 201-866 7141. Groups have a 10 % discount. Union City, New Jersey. January 18 – For the fourth successive year, the Altamura Center for the Arts and its home company, Inter-Cities Performing Arts, Inc., will receive a grant from the Agnes Varis Charitable Trust. The trust was established to support Varis’ passion for women’s rights, the underprivileged, and the arts, especially opera. Funds will benefit the Altamura Center’s Summer Music Festival as well as help to support winners and finalists of Inter-Cities’ Altamura/Caruso International Voice Competition on a forthcoming tour of Poland. The 2016 Altamura Center Summer Music Festival will present three highly-appealing programs. 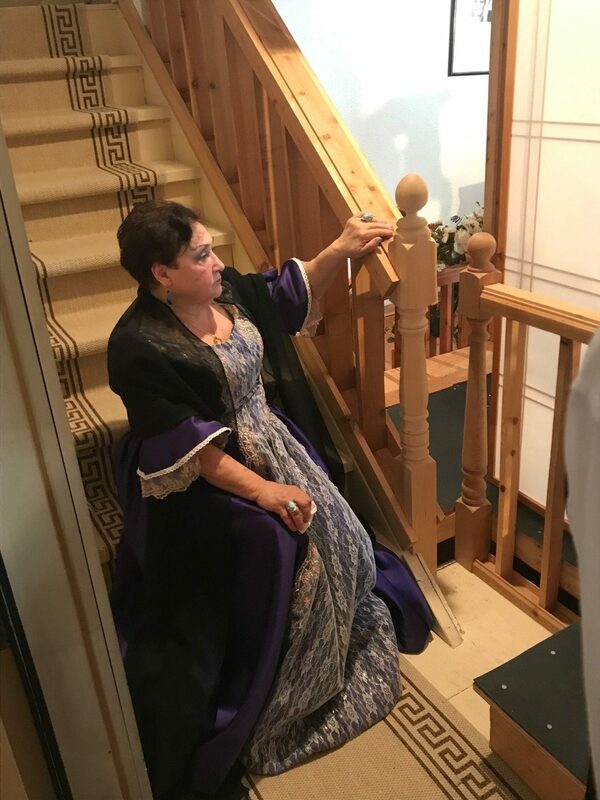 On the roster will be “Heroes and Heroines” — Verdi’s famous operatic arias; “Mozart’s Women” — arias from operas the composer dedicated to his beloved wife, Costanza; and ”Latin Embrace: Tango, Anyone?” — a solo program of Latin American music performed by Argentine pianist, Rosa Antonelli. John Sigerson will conduct the Inter-Cities Chamber Ensemble. Detailed information about the Summer Festival will be available in the spring. With help from an earlier Varis Trust grant, Inter-Cities presented young musicians and the first-prize winner of the Altamura Competition in programs that took place in Rome and Naples in the fall of 2015. The second part of that tour included highly successful concerts in Katowice, Bytom, and Krakow, Poland.